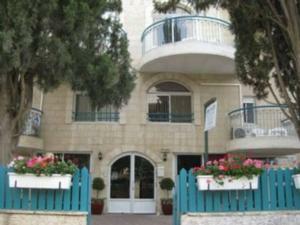 The Eden Jerusalem Hotel offers high quality accommodation at friendly rates. 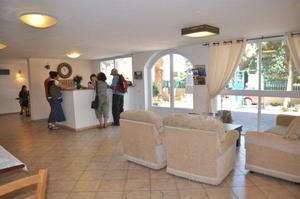 The Hotel offers a large lobby with pleasant sitting areas and free wireless Internet. Transfer from the airport to the hotel is possible upon request. Please pay attention the Eden Hotel Jerusalem doesn't accept Diners Credit Card. 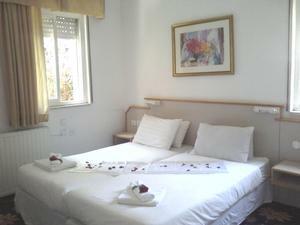 The Eden Jerusalem Hotel offers 18 double / twin rooms and 6 suits. All Rooms are Renovated, with all amenities made to accommodate comfortably. All 24 rooms non smoking, comfortable, bright rooms and suites. The Eden Jerusalem Hotels is located within walking distance of the promenade with its panoramic view of the Old City of Jerusalem. The Hotel is situated in a quiet neighborhood with easy access to the city center, the Old City, and all of Jerusalem main attractions. The Hotel’s location is convenient for shopping, cafes and restaurants in Baka and the German Colony neighborhoods. "This hotel was perfect for a short stay. Easy access to the important sites in Jerusalem. We fo..."